Discover the Lisbon suburb of Belém on a walking tour that introduces you to the district’s 20th-century history, from the Portuguese World Exhibition of 1940 to the Salazar dictatorship. 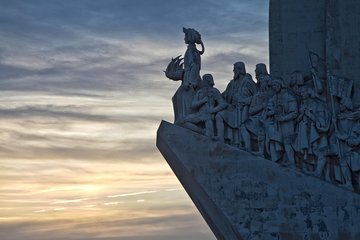 With a guide, see sights like the Monument to the Discoveries and Empire Square (Praça do Império). Tour was just ok. Our guide took us to places and spent a lot of time talking about things which we had little interest in. We should have visited the monastery but ran out of time. Excellent! Best tour we've had on Viator! such a knowledgeable and thoughtful guide. he prepared well with materials to give us the maximum context and information. Additionally it was very flexible and accommodating of our particular interests.